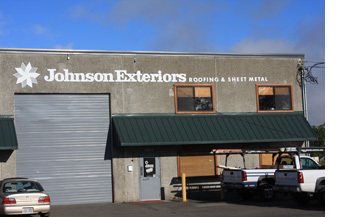 Founded over 25 years ago Johnson Exteriors, Inc., has grown from a single family residential company to also serving customers with commercial roofing needs in excess of half a million dollars. We have grown from serving only the Puget Sound Region to serving clientele all over Washington State. From low slope commercial and residential roofing to steep slope composition and metal roofing systems, as well as sheet metal flashing and component fabrication, we are the experts who can handle any project. Most of our employees have been with the company for more than a decade. Once we have a technician trained we go to great lengths to retain them, offering top wages and a full benefits package. We also participate in a “Drug Free” program with random testing of all our employees so you can rest assured that the crew on your next project is operating in a safe and professional manner.